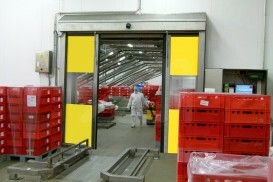 Super-speed door with lateral opening for areas having important hygienic requirements (food and meat industry, laboratories, etc.). 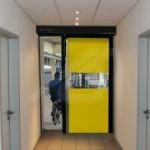 Rolling and speed opening door perfect to divide different indoor ambiences where the air current is low and the passage lights reduced. 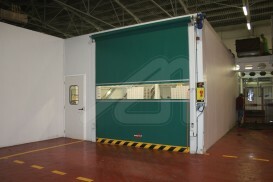 Super-speed opening door through a single sheet rolling on the side. 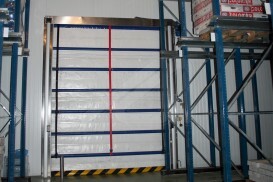 Fold up speed door for interior accesses to cold stores with negative temperature. 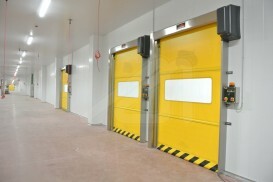 Speed rolling door for interior accesses in clean rooms having positive or negative pressure.